The testo 477 LED stroboscope allows you to perform inspections and quality control of machines and systems and rotational speed measurements on hard-to-reach, small and fast-moving objects while the machines are still running. The testo 477 makes stunningly fast movements appear as if they are in slow motion. For measuring speeds of up to 300,000 rpm and inspecting machines and systems while they are still running. There is no way of telling with the naked eye if the thread guide of a knitting machine is working properly or if there is anything wrong or irregular about vibration or rotational processes of machines or systems while they are still running. 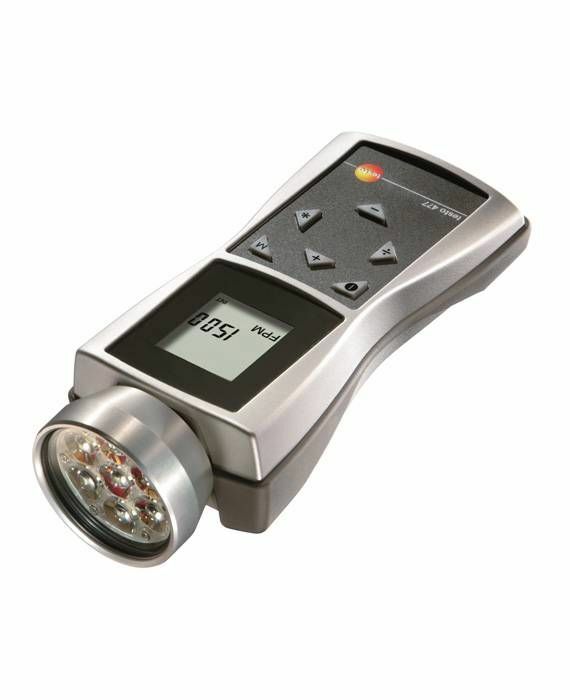 The testo 477 LED stroboscope emits a series of high-speed flashes that makes what you see appear as a frozen image. The testo 477 LED stroboscope can also measure the rotational speed of very small and hard-to-reach objects without having to first shutdown machines or disrupt production processes. 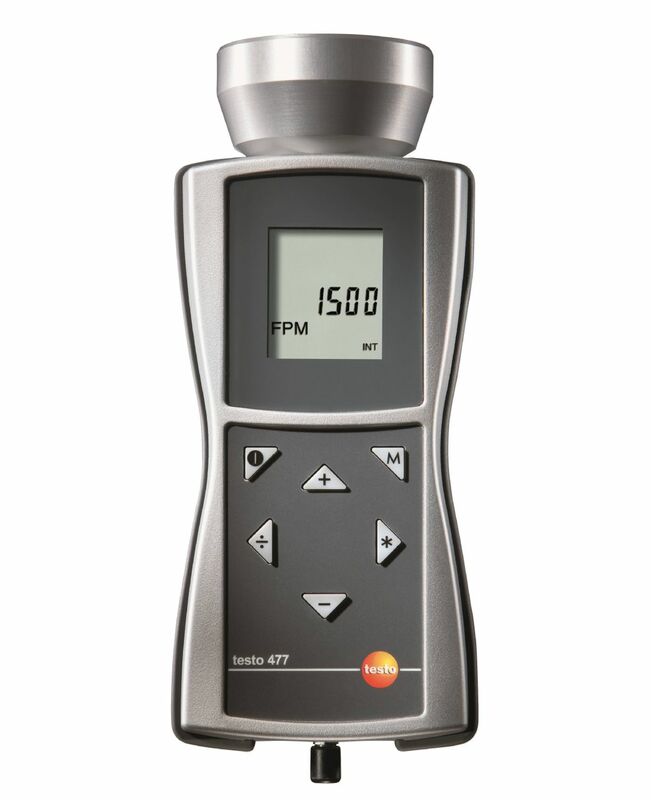 A very high measurement range of up to 300,000 flashes per minute and a very high illumination of up to 1500 Lux allow you to carry out rotational speed measurements of up to 300,000 rpm. A trigger input and output ensure connectivity to external systems and control via an external sensor. The LED stroboscope’s integrated impact protection and sturdy IP65 rated housing (can be wiped down) ensure that the testo 477 can stand up to the rough and tumble of everyday use. And thanks to a longer battery operating time, you can carry out uninterrupted measurements for up to 5 hours.